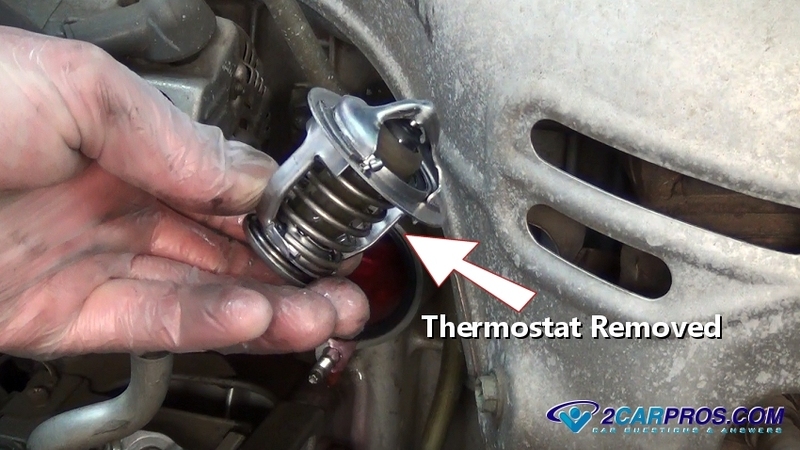 Easy guide on how an automotive cooling system thermostat works, this information pertains to most vehicles. 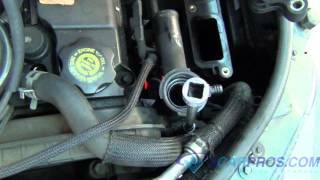 An engine cooling system thermostat is designed to stop the flow of coolant in the cooling system when the engine is cold, this is done to help the engine warm up to optimum operating temperature which improves efficiency and emissions output. 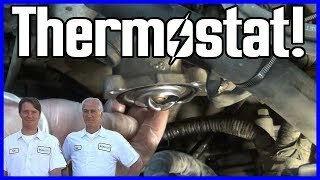 Once the engine heats to 195° F or 96° C it will open allowing the radiator to remove heat from the coolant so it can be circulated back into the engine. These units are located either at the upper or lower radiator hose connections. A housing is used to hold the thermostat in place while allowing the radiator hose to be connected and keeping the system circulating. A thermostat is a normal service item that when fails will either stick closed making the engine overheat quickly, or stick open causing the engine to warm up to slowly which will trigger a check engine light. 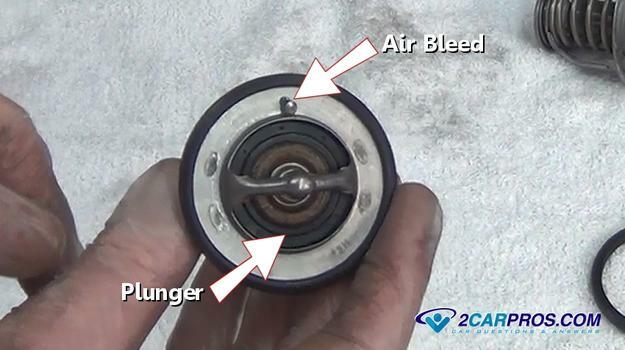 An air bleed is located at the top of the thermostat to allow air to escape from the system while being filled, a plunger is the actual valve that opens and allows coolant flow. 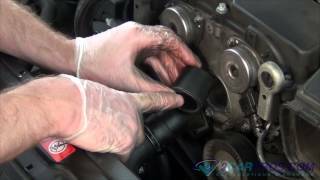 A gasket is used to seal the thermostat housing to the engine block or intake manifold. 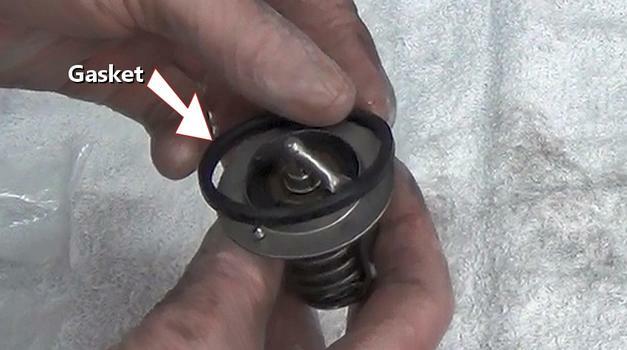 Prepare a pan of boiling water deep enough to cover the thermostat completely, gently drop the thermostat in, observe the plunger, it should start to move and open completely within 45 seconds, if the plunger doesn't move the thermostat has failed, if the thermostat plunger is open whilst being removed it has also failed. 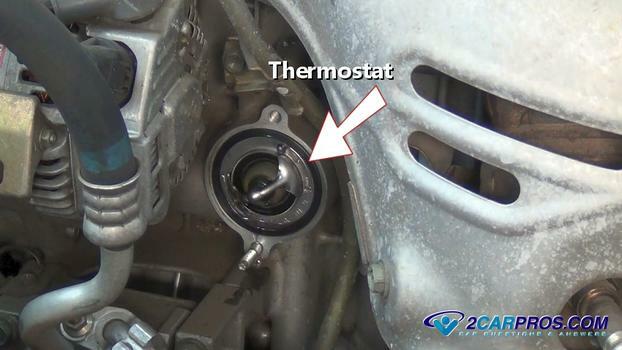 A thermostat maintains engine temperature as it opens and closes throughout the engine operation. Once removed, inspect the condition of the main body of the thermostat, look for cracks or broken pieces and the valve to be closed. 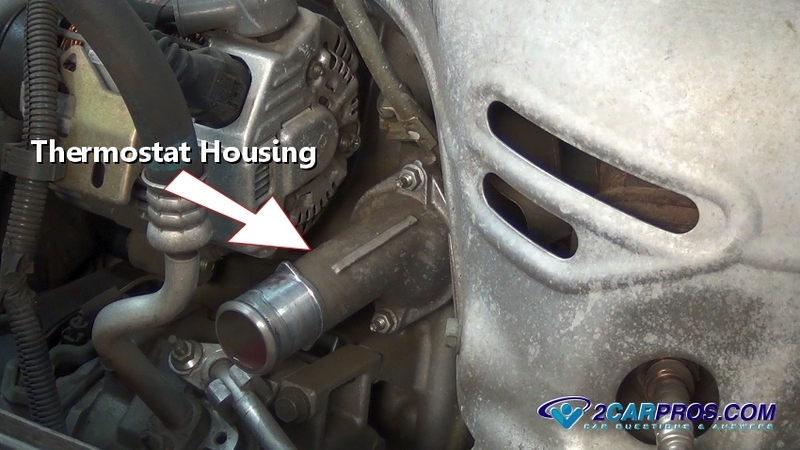 Avoid running an engine without a thermostat, this unit also acts as a system flow regulator, if coolant is allowed to travel too fast in the system, the heat exchange rate is reduced in the radiator and the engine will overheat. A thermostat consists of a main housing, a plunger valve with return spring. Temperature sensitive wax fills a plunger that acts as the sensing and activating device.